Tomorrow, you have a choice. 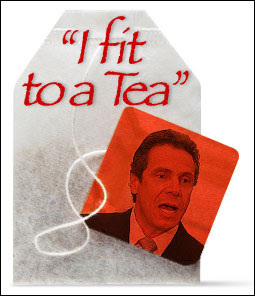 You can vote for anti-union corporatist Cuomo. Or you can vote for frothing at the mouth Carl Paladino. I'm voting for Green Party candidate Howie Hawkins for Governor. If the Greens get 50,000 votes, they get a party line. New Yorkers need an alternative, particularly since Working Families have sold themselves out for Cuomo. So I urge you to vote for Hawkins as well. We need to vote for someone, and I won't vote for Cuomo simply because he does not appear to be so raving a lunatic as his main opponent. Howie Hawkins is pro-teacher, and pro-union, like me. If the Democrats want our votes, let them give us candidates who don't hate us and everything we stand for.